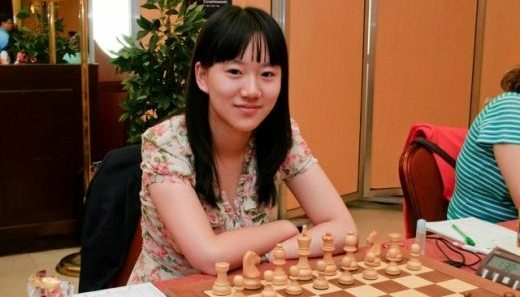 GM Alexander Ipatov and WGM Guo Qi are World Junior Chess Champions for boys and girls at the WJCC 2012 in Athens, Greece. GM Alexander Ipatov collected 10,0/13 to claim the first place and the gold medal. He finished with the same points as the silver medalist GM Richard Rapport, but with a better tiebreak. GM Ding Liren won the bronze medal with 9,0/13, also on tiebreak with GM Nils Grandelius. According to regulations Ipatov qualifies to the World Cup 2013, part of the World Championship Cycle 2012-2014. He also gains 24,4 ELO points to cross the 2600 ELO mark. The drama in the girl’s section was even bigger. Four players finished with 9,5/13. However, with best tiebreak was WGM Guo Qi, ahead of WGM Nastassia Ziaziulkina, and IM Anastasia Bodnaruk, while WFM Aulia Medina Warda remained out of the medals.